Today I received a rather alarming status on my Facebook profile about the plan to begin the culling of Great White Sharks in Western Australia. Not only does this plan (which looks like it is going to be put into action) mean that Western Australia is on the verge of a serious ecological mistake it also makes me fear for the future of our own Great White Sharks. As a measure to reduce the number of Great White Shark attacks on swimmers, wiping out the species seems like it will be very successful. However, the impact on the delicate, and already threatened, ecosystems of our oceans will be devastating. 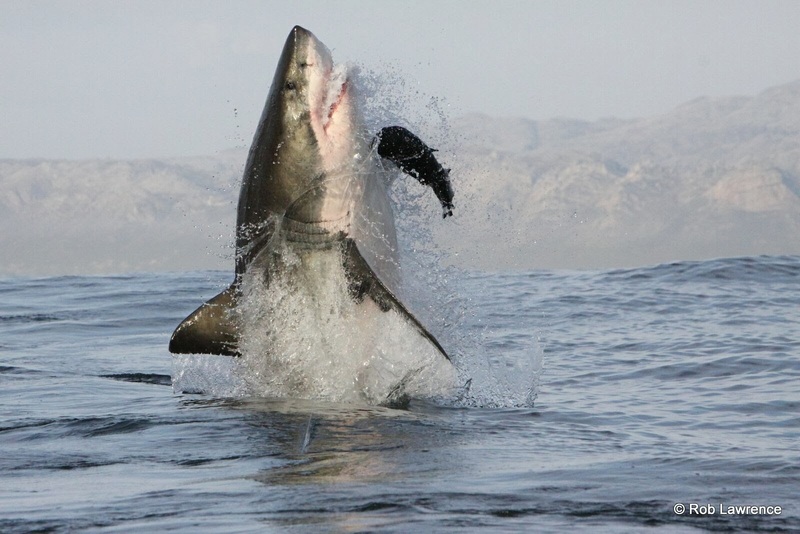 In summer the Great White Sharks of False Bay become more active in shallower waters. This is generally thought to be because their diets change in summer, from a mainly seal diet in Winter to large fish in the summer. The seals that they prefer are concentrated around Seal Island, which is in the middle of the bay (more or less)- keeping the Great White Shark well away from recreational water users. Unfortunately, the increase in Great White Shark activity in inshore waters coincides with an increase in the number of people who are using the water. More people in the water+more sharks in the area=many shark attacks. And yet, wait a minute- why don’t we have at least one attack a week? Luckily for us False Bay has a pretty effective system for ensuring that swimmers are safe without the need to get rid of the sharks. We have the brilliant ‘Shark Spotters’ programme that warns swimmers when Great White Sharks are in the area. And this summer saw the launch of Fish Hoek Beach’s shark net- a physical barrier that keeps bathers in the southern corner of the beach safe. With out doubt the greatest reason why there are so few Great White Shark attacks is because they are not the mindless killing machines of popular films and our nightmares. I have seen plenty of aerial footage of sharks cruising underneath bathers and surfers, with no thought of attacking, much less eating anybody. They are complex animals with unique behaviour patterns. Yes, there have been attacks, some have been fatal- and a tradgedy for those involved. However, if you want to save lives ban the motor car. Before too long the sharks are being culled, their numbers drop like a stone and we have more seals than we know what to do with. Soon after that the fish stocks are disappearing as fast as the huge seal population can get through them. We then contribute by over fishing. Then the seal population starts getting ill because they are not getting enough to eat, they die out in the millions and bang, we have barren False Bay. The problem with Great White Sharks is that they recover so slowly. They are very slow breeders and so it can take many, many years for their numbers to pull back. This also makes them very vulnerable to complete population collapse- in which case there simply is no way back at all. I really hope that cool heads prevail in Western Australia, and that we continue to have a sensible approach to our Great White Sharks. Of course- Western Australia are not the only ones to cull shark populations. It has been going on in Kwazulu-Natal for years, through the rather academic sounding Natal Sharks Board. They have been catching sharks of all species on drum lines for years in an attempt to keep numbers low and therefore, Durban’s beaches safe for swimmers. They claim that the circumstances as they are on South Africa’s east coast, it is the best option to them- nothing else would work. It seems like the dirty little secret that everyone in KZN likes to keep firmly locked in the closet in the hope that nobody else will notice. African Shark Eco Adventures have pioneered False Bay as a destination for seeing Great White Sharks. This is thought to be the only place in the World where Great Whites Leap from the water in this way. Image is taken from African Shark Eco Adventures web site and the copyright belongs to them. If you want to see the Great White Sharks of False Bay click this image to go to their web site. Either way, lets hope that we can all be treasuring our Great White Sharks as the national asset that they are. Where else can you go with a company like African Shark Eco Adventures to see 3 tonne behemoths explode from the water at vast speed. It would appear that the sharks of Western Australia have received a reprieve. Lets hope it gives everyone a chance to come to their senses.